Go2 Compression Socks are designed for women and men, 20-30 mmHg graduated stocking that offers you wide range benefits. Relieves tired and fatigued legs, reduces swelling on ankles, heels, calves, feet, and legs. Improves blood circulation, working as a performance-enhancing in your daily activities. These socks are recommended to help in faster recovery, can be used by people from different walks of life such as nurses and doctors, athletes, travelers, basketball players, runners, business men, anyone who is on their feet all day. Provides a relaxing sensation and relief after strenuous exercises, 12-hours work shift and for prevention on a Post-op treatment. Extra-cushion sole intended to avoid the effect of a negative impact on your feet. No more pain in old or new injuries. Excellent choice for pregnancy and maternity, these socks are easy to put on and firm enough to provide the desired support for your feet. 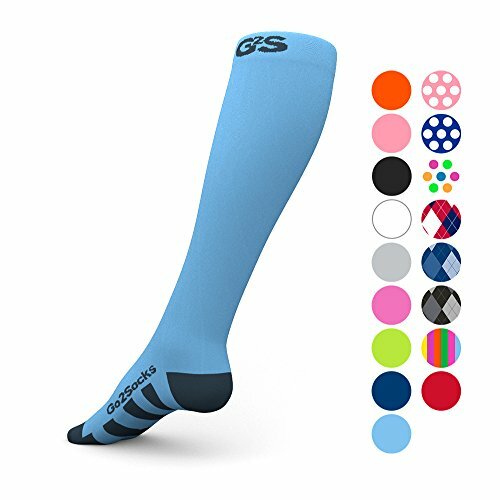 Go2 Sock is a unisex stocking designed to cut down abrasion and stress in your legs, they improve blood flow making you feel less pain and swelling, energizing and enabling that assures you a maximum level of comfort. Only the best fibers are used in their making, moisture control in your feet and legs to keep them dry. Extra comfortable trim and ultra stretch material, these socks embrace your legs with a perfect fit, great results, guaranteed! See the size chart on the left side pictures to choose the best option for you. Only you can make a difference! Give us the opportunity to bring you a benefit more than anything. æAdd to CartÆ right away to get your pair or Save 10% for a 2-Pack so you can also help someone you care. 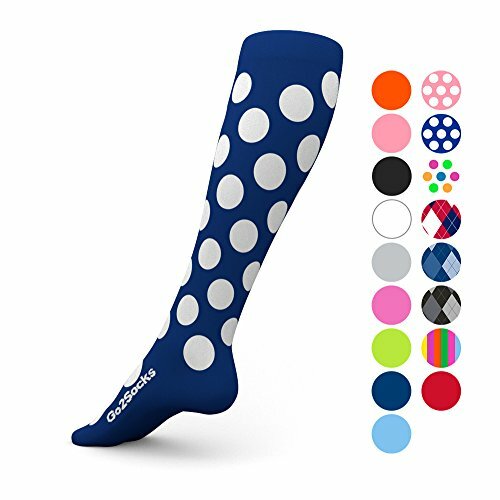 Go2 Compression socks have a 100% money back guarantee!!! Go2 Perform!!! Go2 Recover!!! Go2 Relieve!! !